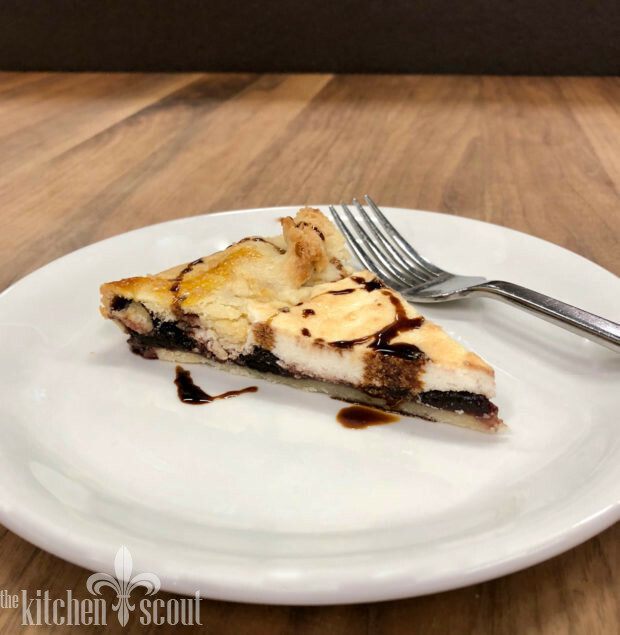 If you have been reading The Kitchen Scout for awhile, then you know that I really enjoy following Elizabeth Minchilli. Raised in the suburbs of St. Louis, Elizabeth moved to Rome with her parents and sisters when she was just twelve years old. They only stayed a few years, but their time there laid the groundwork for what would ultimately become Elizabeth’s career. She found a way to return to Italy, Florence specifically on a grant she received to do research for her dissertation while in graduate school. Just when she thought her destiny was to return to the states and work in academia, she met her Italian husband. A dog and two daughters followed and let’s just say the rest is history. 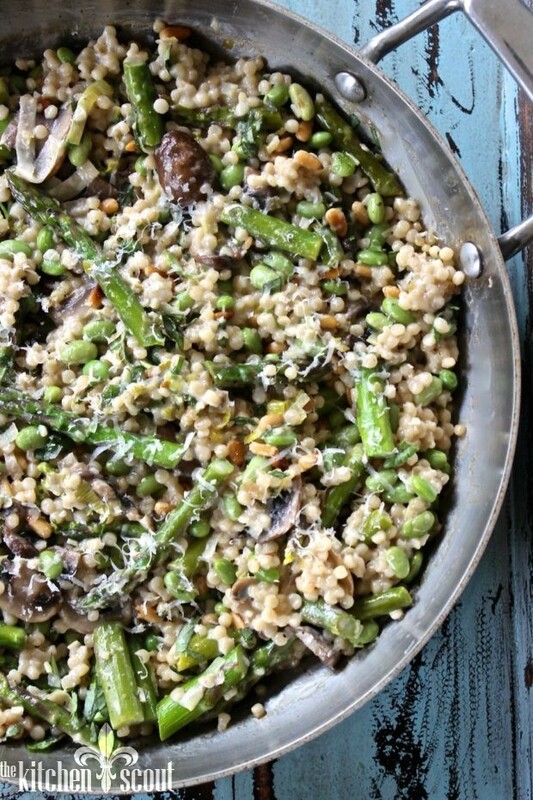 She lives in Rome with her husband, Domenico and has a country escape in Umbria where she cooks up a storm for family and friends. Elizabeth began her career by writing for magazines such as Food & Wine, Bon Appetit and House & Garden. She subsequently published six books on topics ranging from architecture and design to ceramics and of course, food. The common denominator is they all revolve around Italy. 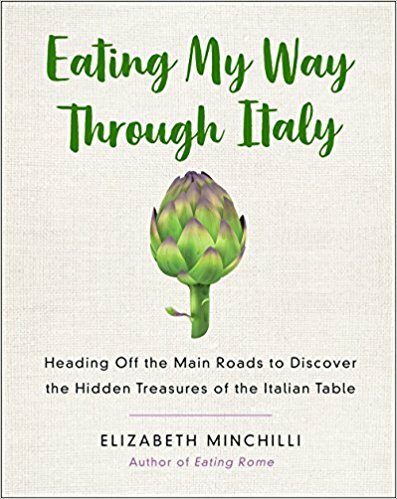 As the publishing business began to change around 2009, Elizabeth started a blog originally named Elizabeth Minchilli in Rome, now Elizabeth Minchilli Eating My Way Through Italy and sends a monthly newsletter to fans around the world who subscribe. 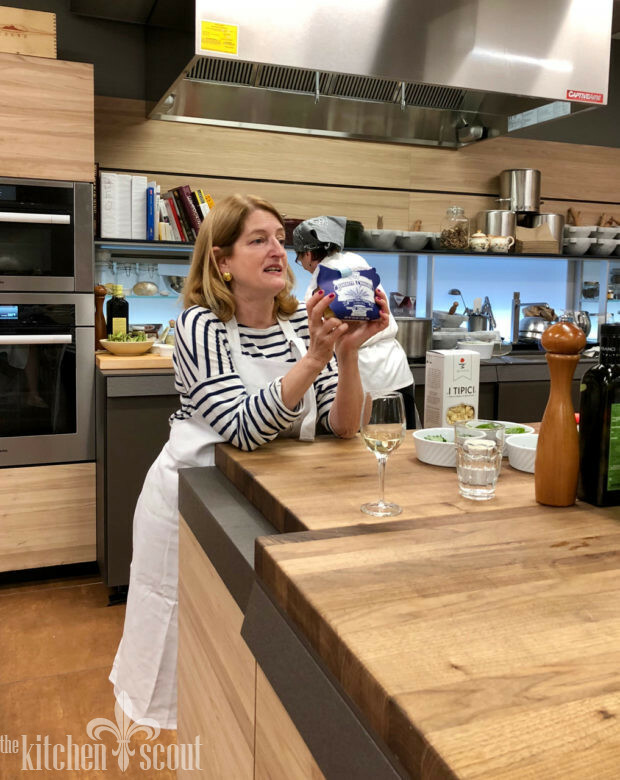 On her site, she shares recipes, restaurants she enjoys and information about the food tours she conducts in Rome, Umbria and Puglia. She also shares links to her app Eat Italy which you may want to consider downloading pronto if you are planning a trip to Italy. The app is free but guides to the larger cities of Rome, Florence and Venice have a modest cost. We used this app on our recent trip to Italy and can recommend it highly! 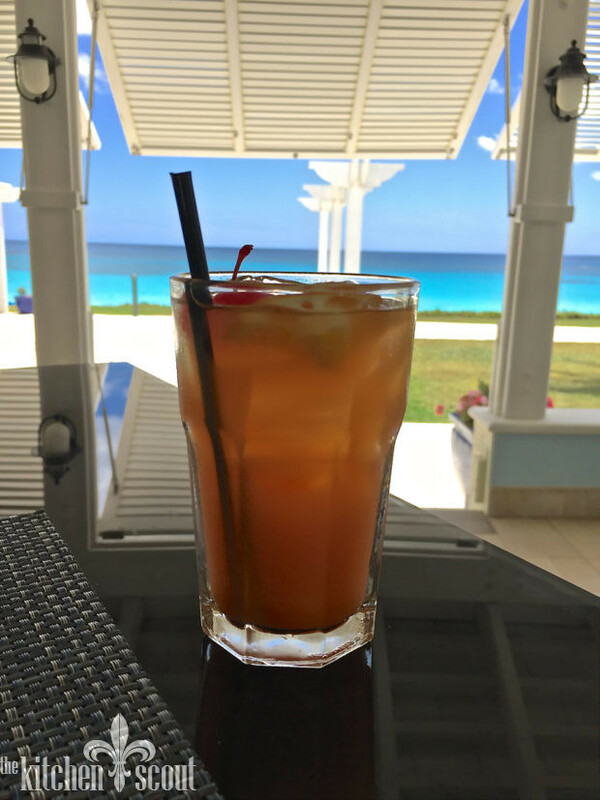 PS – like me, Elizabeth is not a restaurant critic but rather just sharing her personal experiences with the restaurants she frequents. While I enjoy Elizabeth’s blog and monthly newsletters, it is her Instagram account and in particular her stories that I look forward to watching. She is authentic, informative and humorous all at the same time. 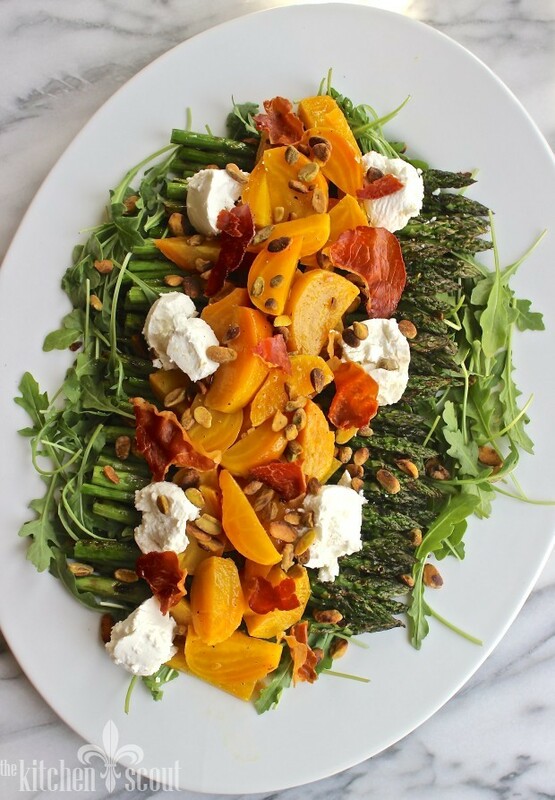 She takes beautiful pictures of her daily travels around Rome or wherever she happens to be and from time to time, demonstrates a simple (or not so simple) dish she is putting together for herself or guests. It’s a great way to live vicariously if you have a passion for la dolce vita. 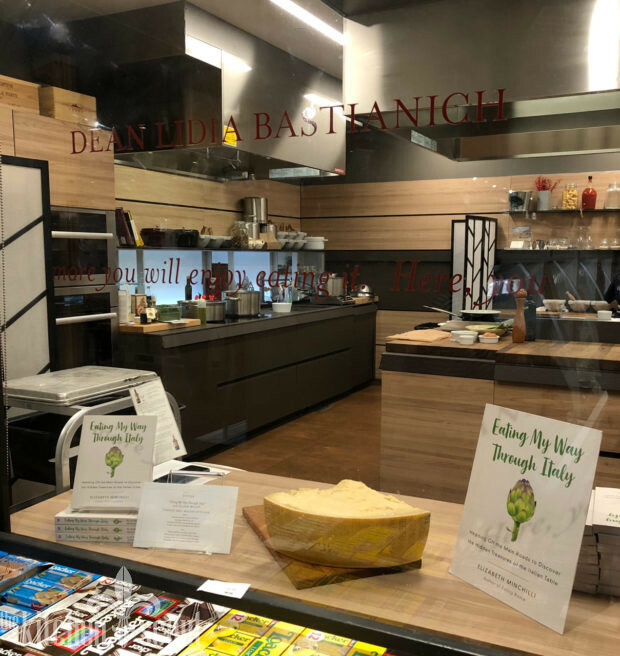 In her March newsletter, she announced that her new book, Eating My Way Through Italy would be published in May and she was coming to the states to do a book tour. One of her stops would be here in Boston where she would conduct a cooking demo at Eataly. Needless to say, I bought a ticket on the spot and while I tried to find a partner in crime to attend with me, I ended up going on my own. 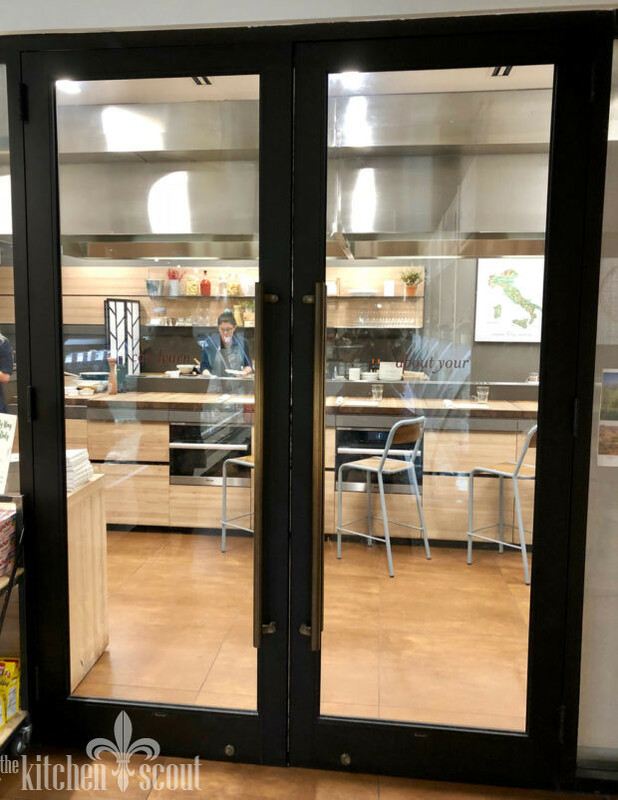 That turned out to be completely fine because I met some lovely people while we were waiting to get into La Scuola (the school) at Eataly, including Ann who had attended one of Elizabeth’s cooking tours in Rome, and Whitney and Amir, a young couple who were celebrating an anniversary. Eating My Way Through Italy, which is a follow up to Elizabeth’s book, Eating My Way Through Rome, explores the dishes, customs and recipes that she has discovered off the beaten path as she has traveled from the tip of Puglia to the shores of Lake Como over the course of her career. 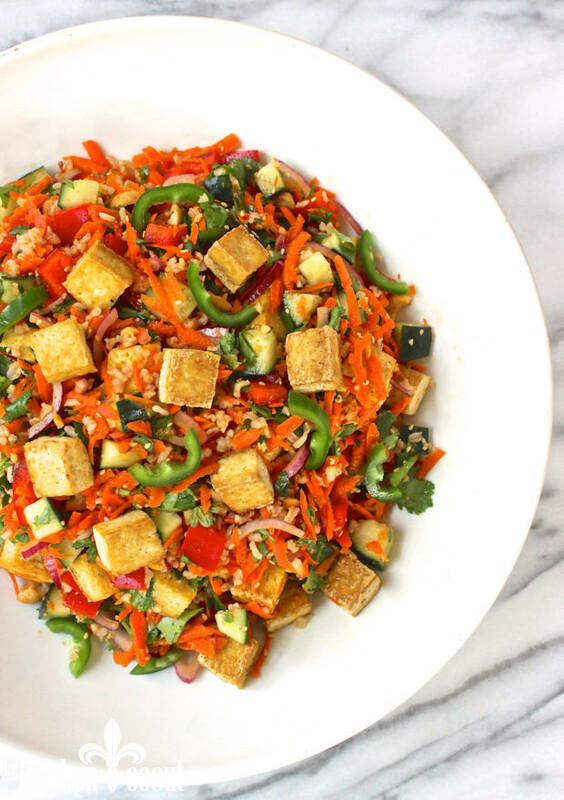 The book is structured around specific meals and ingredients which she has learned about in depth. Based on the lessons we learned during the class about the history of Parmigiano Reggiano and Aceto Balsamico alone, I am intrigued by what morsels of information I will find inside the book. I just started to dig into the chapters to prepare the blog post and know I will read the book from cover to cover. Elizabeth is a fantastic writer and has a conversational style so it feels like she is talking directly to you. La Scuola at Eataly is a nice sized space and accommodated roughly 27 of us for a seated dinner. 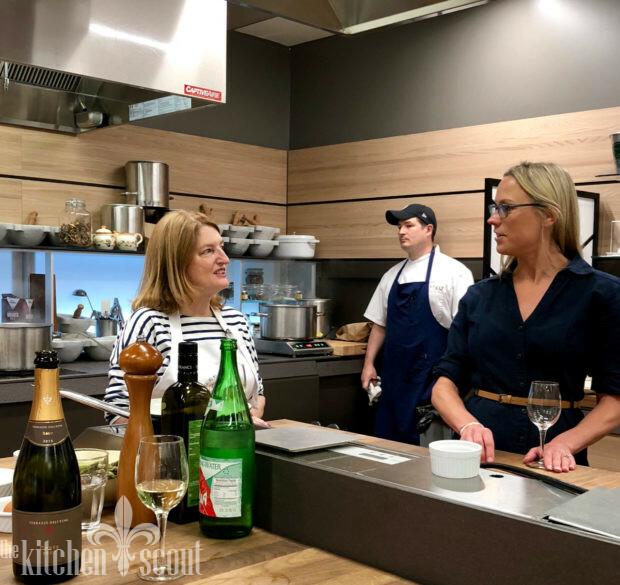 Elizabeth designed a three course menu featuring recipes found in the book from chapters on the Understated Sense of Style in Milan, the Pasta-Making Ladies of Bari Vecchia and Barrels of Balsamico in Emilia-Romagna. Each course was paired with a wine. Here’s a snap of Elizabeth on the left, speaking with one of the Eataly staff who introduced her. Sadly, most of my photos of Elizabeth caught her mid-sentence so I am only posting a few of the decent shots I got of her! 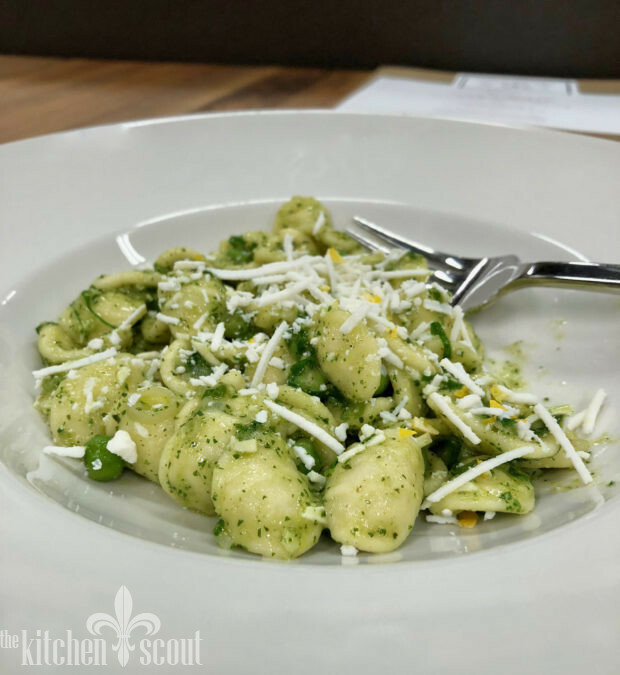 Our first course was Asparagus Bismark which is a dish that dates back to the 1950’s when Italians started using ingredients, such as eggs and butter, that were not as readily available to them during World War II. 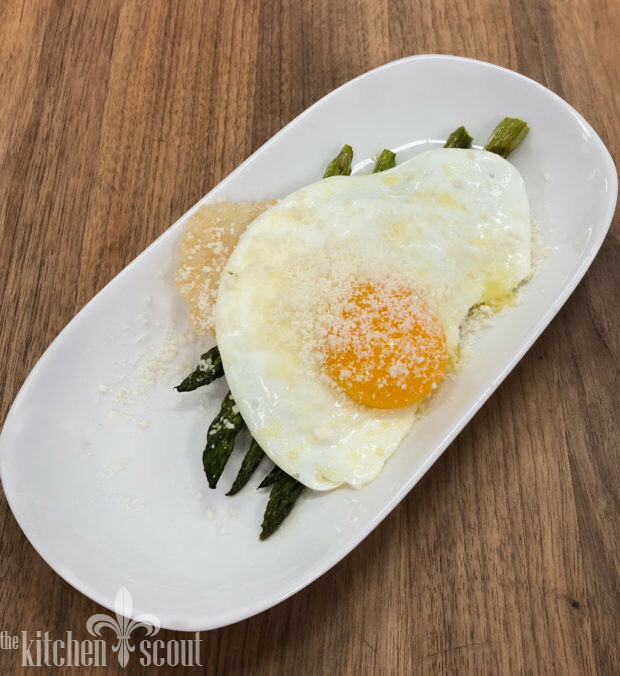 Traditionally, asparagus is steamed and served with a sunny side up egg that is sprinkled with fresh Parmigiano Reggiano (PR). 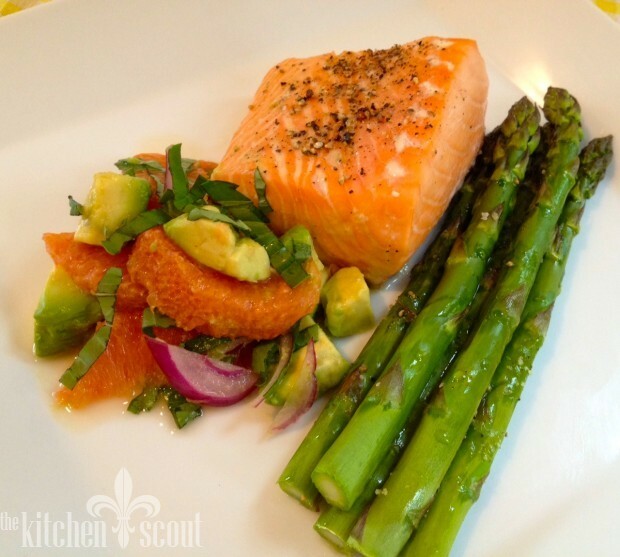 The runny yolk creates a creamy sauce for the asparagus and the combination is completely delicious. Our second course began with a little lesson about pasta and a mention that there are in fact three chapters about pasta in Elizabeth’s book. We learned about the women in Bari who make orrechiette on tables outside of their front doors and the nonna’s in Modena who make tortellini, the local specialty. She illustrated just how invested Italians are in their family’s version of the local pasta specialties by sharing that she was taking a quick taxi ride from the airport near Modena to her rental car location. 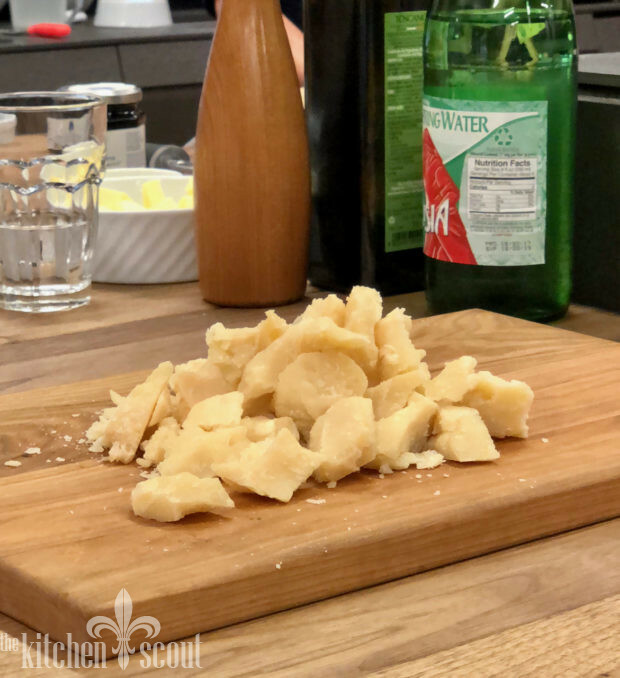 Within a few minutes, the taxi driver brought up his nonna’s tortellini and his theory about why they were the best (the use of 30 year aged Parmigiano Reggiano). Once the meal was over, Elizabeth signed our books and I was off to buy some cherry jam (already infused with aceto balsamico) and some proscuitto for an appetizer I was making the next night. When in Rome! Such a fun night and I am so glad to have attended. Love Elizabeth and her books! 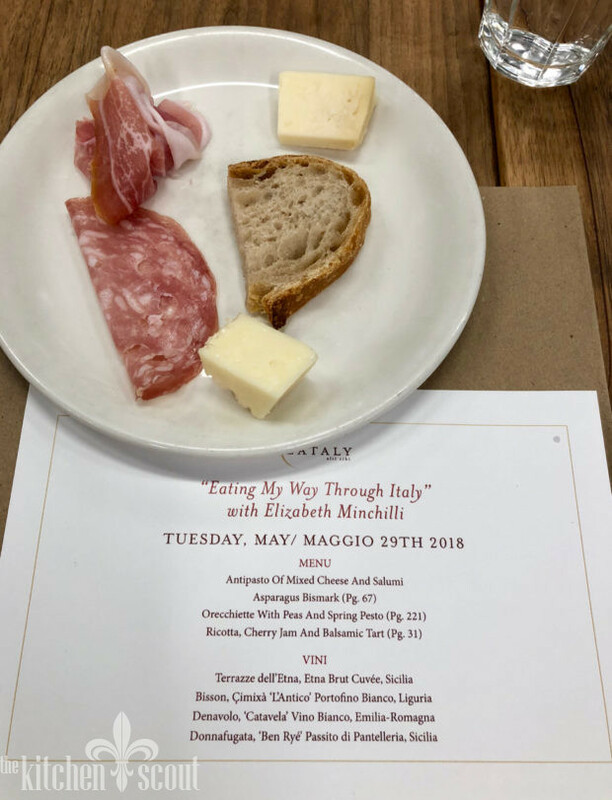 “Eating Rome” was indispensable on our recent trip and I wish I had been able to meet her at Eataly.